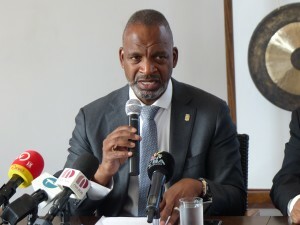 WILLEMSTAD - The Ministry of Economic Development (MEO) has focused its efforts on improving the investment climate in Curaçao. The slow-acting administrative mill is being tackled and at the same time, it is being considerably expanded to promote the export possibilities of the island. In response to questions from Parliament, Minister Steven Martina of Economic Development said that a 'Red tape to red carpet' committee should make the island more attractive to investors. He mentioned as an example that permits are issued more quickly. Martina acknowledges that Curaçao is expensive to do business, mainly because of the high costs for water, electricity and fuel. "The approach to the red tape will lead to fewer delays and contribute to greater efficiency. The costs for entrepreneurs will then decrease."